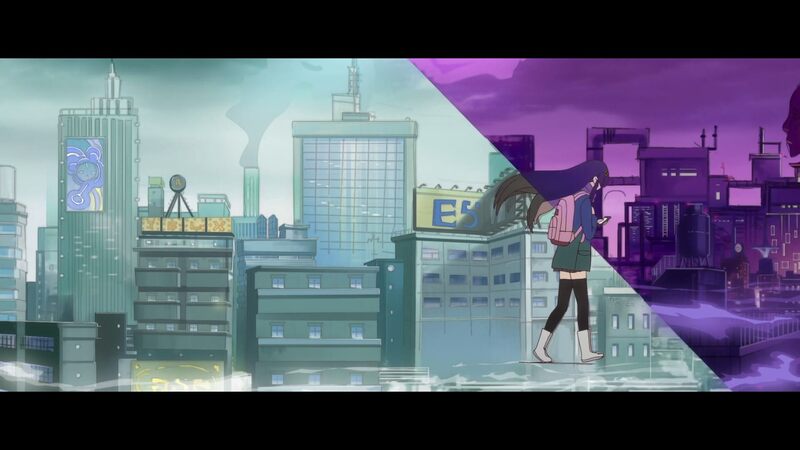 No anime project represents the reality that the internet is tearing down all walls and making anime into a global effort than To Be Heroine, a production that congregated an unbelievable number of young animators from all over the world. To get a clear look at their experience, both the joy of being able to work in anime and the struggles to adapt to different production systems, we set up a long interview with them all. If you wish to one day work in anime, you can’t miss this one! To Be Hero was always one of the most interesting co-operations between the Chinese and Japanese animation industries, with the eye-catching artistic talent coming from the former. Rough around the edges and featuring crude humor that definitely wasn’t for everyone, but by all means a neat little venture that maintained a uniquely indie charm in a professional project. The second series To Be Heroine – by all means approachable for new viewers – is just now beginning its broadcast in Japan and the international streams, so now is the perfect chance to examine this fascinating follow-up; To Be Heroine is a more ambitious effort by the director that nonetheless keeps its outrageous sense of humor, a remarkable change in format, and perhaps most importantly, it’s a true worldwide animation effort. Many young artists from all around the planet were recruited online to contribute to the show’s grand action and crazy slapstick comedy, marking in multiple cases their professional debut, let alone first appearance in an anime project. To get some first-hand impressions on arguably the most global anime project to date, we conducted a massive interview with a dozen of animators from all over the place who joined the production team for the second season. Enjoy their insightful experiences! ─ How did you get involved with Studio LAN and this project in particular? Bagus Yoga (Guzzu): It’s surreal to say, but it all started with my idol and inspiration Optical-Core who made me a ‘salute’ tribute animation a year ago. It was so shocking at first I almost fainted because I’d been a huge fan of his work for long time! A huge thanks goes to Xin as well, since he reached out to me about Optical’s animation, and then offered me this job with Studio LAN that I simply couldn’t refuse. They’re both amazing and great friends too! Gem: Yeah, as far as getting involved with Studio LAN, Guz was the first person to be contacted via twitter by production manager Xin. He worked for a while in secret, and then he told Xin about the animators in our group circle. One of the animators on To Be Hero who we already knew, Sheng Meng Chen, also helped us all get in contact and we started doing work from there. Really, it all happened by chance, haha. Tilfinning (Till): I was in the Zettai Absolute discord server where I met Guzzu and Xin. Guzzu recommended me to him and Xin invited me to their production. David Bradshaw (Dave): I also joined LAN because of Guzzu; he told me about the project way back in July, and after that he recommended me to them in late December. Husain Untoro (Woulf): I got in through supportive friends who had already worked with Studio LAN. Hero: My case was sort of random, really. I saw some folks were talking about a project in a discord channel and I asked if I could join jokingly… who knew that I would end up becoming production manager for Studio LAN. Daniel Baron: To be honest, when I got contacted through Guz I didn’t even know what the animation test I took was meant for. I got into the project not knowing they were working on To Be Heroine. lzyboost: I feel like it was through a series of lucky coincidences too, haha. Like many other webgen animators, I started to posting clips online – one thing led to another and then one day, my animator pal ACVD (go check out his work!) thought to recommend my work to Studio LAN, which I can’t thank him enough for. It’s been a wild ride! Russel Braganza (ZucchiniJuice): I’m in the camp who owes it to Lord Guz and Prince Xin; the latter as the production manager and the former for the connections. At first I was just some guy who wanted more friends in this field (it’s lonely to be an animator, you know!) so I’d invite them to a discord server I made alongside my friend Kazooma, where we’d do 1 hour speed animation challenges and talk about animation with similarly passionate people. We English-speaking, heavily anime-influenced animators are fairly rare, so it’s hard to find people to geek out with! And it was through that group that Xin recruited most of us to work on To Be Heroine after Guz invited him. Bless their soul… they made my dream of working on anime come true so soon! Spike: I was acquainted with many of the other animators that got in with me, because of that discord server that everyone’s been talking about. Xin was invited there one day looking for animators to work on the show; he asked whoever was interested to send him our portfolio, offering us a chance to work on it. After showing him some of my animations, he told me to stay put and that if they needed some action cuts done, he would get me in. I didn’t think much of it at first, assuming I was probably not skilled enough since my animations were all pretty rough back then, but eventually he got back to me. Blu Shade: In my case it was because Guz introduced me to the project as well. As you can see, he’s main responsible for introducing all the new faces you’ll see in To Be Heroine. I feel I can speak for everyone when I say we’re all very grateful for what he’s done. Ryan White (Retro Ryno): It’s really cool to be able to share this experience. Like most of the others, I got involved because I was hanging out in the Zettai Absolute discord server when Xin joined looking for talented animators interested in working on To Be Heroine. ─ Did you study up on the first series before working on this one, despite the tone and scope of the production being fairly different? Blu Shade: Yes, I did watch the first series to study up! I actually wasn’t aware how different this sequel would be at all when I started working on it. Bagus Yoga: I also did. I had already seen Lan’s and Kilo’s cuts on Sakugabooru long before they contacted me, and although it was just a glimpse, it made it even more surprising that they’d invite me to work on the second series, haha. Daniel Baron: Some of those cuts on the booru were good for studying. Husain Untoro: Same, I checked it out so that I knew what to expect and what to reference for my work. Ryan White: Haha yeah, I ended up looking up the series to try and get a feel for the animation style, and to see what I’d be putting my name into you know? When I first got hired all I could think about was “I’m animating for anime! Woah!! !“… then I looked up the show I signed up for, and the first episode was about a guy getting sucked down a toilet and becoming a fat and ugly superhero, hahaha. I wasn’t discouraged at all though, since I found the show pretty funny. This wasn’t what I imagined my first anime working experience to be, but I’m super glad I’ve gotten this chance. Gem: I was already a big fan of the first season, actually, so being contacted to work on it felt pretty crazy! Hero: I had seen the first series, though I didn’t get around to finishing it. The narrative only advances after the first few episodes, and the first few episodes had a lot of random fighting so I sort of lost interest. But the series was meant to be seen in one go like a feature movie, as I realized when I revisited it. At first I also had prejudices, thinking that Chinese works were inferior compared to Japan (in terms of technical work and budget), but now I understand that Chinese works have the potential to rise high as they embrace their own culture and not blindly follow Japan’s steps. While being Chinese myself, I’m still surprised by how fast this animation industry is growing; I believe that in 3 or 4 years, Chinese animation can reach the same level as its Japanese counterpart, while also maintaining its own unique culture. It won’t be long till we will see English subtitles with Chinese voice over on TV instead of Japanese. Tilfinning: Going back to the point, I watched To Be Hero once they contacted me to get a general understanding of what the new series would be like. I’m very happy that To Be Heroine has even more amazing opportunities for the animators to have fun with the project. lzyboost: Yep, I watched the first season right after I got accepted too. 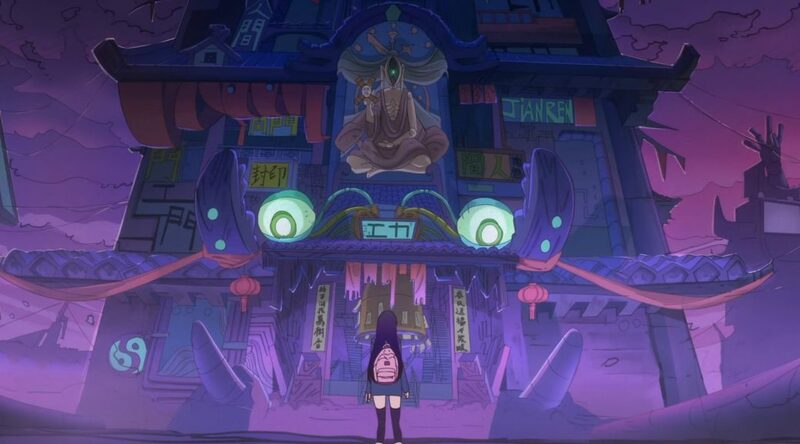 I did at least know the series beforehand thanks to Sakugabooru, and thought it looked really cool – after watching it, I wished I’d seen it way earlier. But it got me even more pumped up to work the second series! Spike: I also had only seen a few cuts from it way before getting involved, but never really got into it. But after being the offered to work on it, watching the first series was the first thing I did. Russel Braganza: At that point I went and watched the first season, but other than that I just jumped straight in. I felt pretty unprepared. 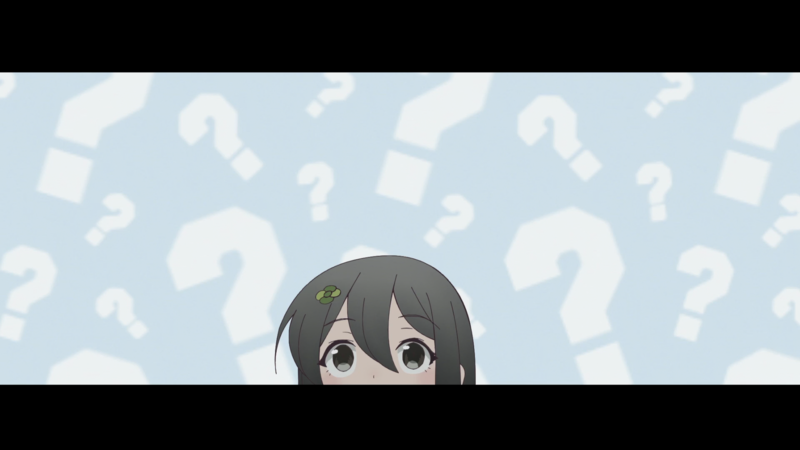 ─ Do you feel like you’ve learned from the Chinese animators in the production? Kilocrescent and of course Lan himself caught all the attention in the first series, but this one is making it obvious that the studio’s got more talented folks around. Tilfinning: Of course! I’m very thankful to LAN for giving me the opportunity to learn from them. Bagus Yoga: Yes! Their production pretty much follows the standard Japanese pipeline (since they have a production line that goes through the Haoliners studio in Japan), so we newcomers had a lot to learn together, including myself. We had to ask questions here and there to both Lan and Xin. Otheriwse, Gem and Till are the best sources to help us study Japanese production methods in this group; Gem has been monitoring these matters and Sakugabooru for long time, meanwhile Till is fluent in Japanese, so he can share some JP animation histories and the culture that surrounds it all, which is very insightful. They’re also really good friends of mine! Blu Shade: I’ve learnt some important parts about production from Lan, of course! But I also learnt a lot of new things from the other new animators; many of us were new to this kind of production, so we’d all share new information we came across with each other. I’m glad I got to learn all these things in such a supportive and friendly environment. Russel Braganza: That’s definitely the case for me too. I made so many mistakes and the in-house crew had to compensate for them – sorry LAN! My animation supervisor in particular, Hero, helped me so much. Bahi JD once said “animation production is responsibility and teamwork. It’s not just about you making cool animation… you learn to create and work in a way that makes the work of the rest of the staff more comfortable.“; Hero taught me and is still teaching me what that entails. Everyone on the team is amazing, and I constantly refer to their works to make mine better. lzyboost: The feeling that you’re learning new things with every cut you make is really exciting! I feel very fortunate to get to work with so many talented animators, some of whom I knew beforehand and was also fan of. It’s a very unreal feeling, haha. Spike: “Learning” is probably the key word to all I’ve been doing this whole time since I joined LAN. Just adapting to the production pace and watching everyone around you work hard was already something that made me improve. It’s crazy how skilled everyone working on it is, especially Lan himself. Although I think Gem and Blu take the cake on this one, because they’re young, super fast, and really skilled. Ryan White: That sums up my experience too, the amount I’ve learned working for Studio LAN is insane. I don’t think I would have obtained the experience and skills I’ve gained at LAN if I was just studying or working by myself, even if I wasn’t getting paid I probably would still do cuts for Studio LAN. The sheer talent of the people I’ve worked with over the past months was tremendous. I’m so grateful to have the chance to work with them properly, even the people I’ve known for some time even before this, like my good friends Zucchini juice, Spike, Dave, Blu Shade, and all the other guys. Honestly, I actually got to know them a lot better through this work. Husain Untoro: I feel like I learned a lot from the Chinese animators in the team too; not just animation itself, but also understanding of how the pipeline works. David Bradshaw: I’m going to add that personally I wouldn’t say I learned a lot just from them in particular, but I did find out a few things here and there that were interesting. Gem: To Be Hero has always been a showcase of young talent – that’s true for its first season, and even more so in the second. There are many young talents at the forefront; such as Guzzu, who only a few years ago was a stick figure animator in highschool, or Blu Shade who is still only 16 and is doing such phenomenal work despite his age. For nearly all of us this is our first work in an anime production, and for some even our first professional work ever, so I really think this project is something really special in that regard. Hero: Overall this was a good experience, an opportunity for new aspiring animators and those who aren’t well-known yet. As China gets more power financially, Chinese animation also advances, and I believe Japanese companies can foresee that coming. Which means we will likely see China and Japan, as well as other countries, collaborate on projects like this in the future. I personally think the most important thing is not just standing out and becoming a famous and unique animator, but being able to do the work that suits the project the most. So rather having animators get all the attention, I much prefer the project itself gets the praise and becomes renowned. That said, Mr.Lan works extra hard for us and he gave us this chance despite being amateurs in the Japanese method of production, so I’m very grateful to his willingness to assist new animators. 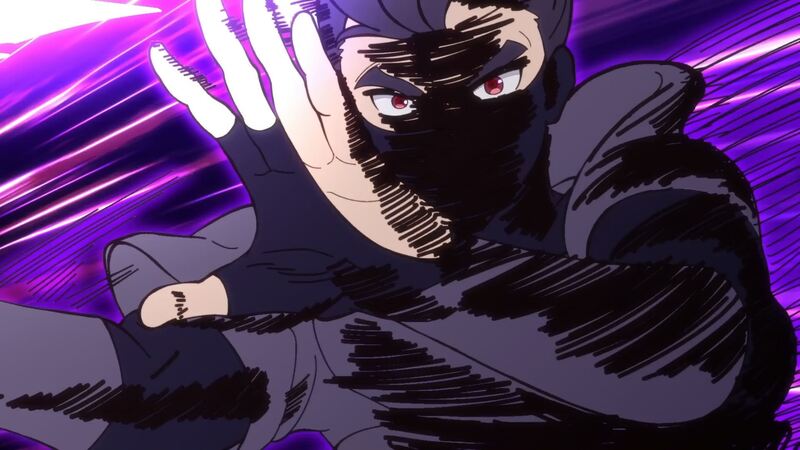 ─ To Be Hero has always felt like a product of modern sakuga culture – flashy action and effects with obvious digital quirks above everything else, and over the top character scenes to go along with the outrageous humor. With the arrival of all the new animators to the second season I noticed an even more obvious presence of Yutaka Nakamura-inspired action quirks that are so popular all around the world, but also more refined expression to go along the new atmosphere of the series. Did you get many indications, or have they let you interpret the storyboards more or less freely? Tilfinning: We were more or less free to do whatever we wanted with the boards. I still remember when Xin told me to “go nuts” when I asked how to approach the animation. So that’s what I did! There were also segments where we were allowed to make our own storyboards. It was an opportunity for us to show our style even more. A good example is where Min fights the thugs in episode 4, which was boarded and animated by Gem. On episode 5, the part where Ximen fights the creatures is similarly split between Spike and Gem. It might be a risky method, but both cases ended up turning out very well. I’m glad we were able to respond to LAN’s trust on us with good result, for the most part. Bagus Yoga: We’ve got to thank Lan, since we had more than enough freedom to animate our cuts. Sometimes he’d give us blank storyboards and let us do as we wanted as long as we kept in mind the instructions they gave for the scene. Because of that Gem, Till and Hero were able to do some amazing stuff on the last episode. I think it will turn out amazing, so I hope you’ll enjoy their work there! Gem’s style is very Yutapon-ish, Till can do some amazing stuff, and Hero also has some magic up his sleeve. Gem: LAN is indeed pretty lenient with letting us interpret the boards as we please, and sometimes even letting us animate freely. In fact, it’s not just those moments they’ve mentioned, most of my work on the show has been without being given storyboards. Our personality gets to shine greatly, so I’m very grateful for the freedom LAN lets us have! Spike: Yeah, for the most part, they don’t really make storyboards for action cuts; there are just a few instructions on what should happen and how. In my case I wanted to work on cuts I was sure I would do a decent job with, so I was mostly given action sequences which is where I think my style fits best, so I ended up having to come up with my own storyboards for pretty much all of my work. However, they’re pretty flexible when it comes to following the boards, giving you a lot of freedom to work with it however you feel like. On a goofy side note, on the fight sequence for the opening, the storyboard literally just said “FIGHTING” written in all caps, hahaha. We had to discuss how we were gonna do it and how many seconds each of us would get, I thought it was pretty funny. David Bradshaw: It was very surprising how much freedom they gave us when it came to our cuts. Of course you have to follow the boards as close as possible, but the way you do it is up to you so you can let your imagination flow, haha. Blu Shade: We really have been granted freedom from Lan to use the storyboards as a loose guide and just go wild. And as others have said, at some points Lan will even tell us we can storyboard the scene ourselves to play to our strengths! Husain Untoro: They are open to new ideas, as long as it supports the whole project, we are free to be creative. lzyboost: It’s been really nice to wait and see what others came up with their cuts. Russel Braganza: That’s what my experience was like too, but I have to say that on my first cut, I think I interpreted the cut too freely. In the end it still made it into the final version despite me not knowing production very well, so I think LAN is totally fine with us slightly going off track as long as it doesn’t take away the message. Since I’m still learning the ropes though, I’m not going to risk it for now, so I’ll be sticking closer to the storyboard. And haha, yes, we all do love Nakamura’s work! Hero: Lan really gives us a lot of freedom; though there obviously are some suggestions, we are still able to freely animate what we think looks good, and as long as he approves of it, it’s good. I’m personally not a fan of drawing the typical flashy sakuga cuts just for the sake of it, but in this project the way those are combined with its quirky humor suits it well. Nakamura-san is a very good inspiration for young animators, and he’s still improving more and more as we advance into the digital age. Just like how Kanada-san was influential in his time, I think he represents the same for most young animators. ─ Were you already used to Japanese-style production methods? Did you have to change anything in the way you usually work? Spike: I had some minor knowledge on Japanese animation production, but it was all from the outside and mostly by reading you guys’ posts on the blog, which I really like doing every once in a while. I’d never worked on an anime before this, so I definitely had to adapt at lot of how I used to work in order to fit in. Gem: The Japanese workflow has always been something I’ve tried to learn about, but without any experience in the industry, it’s frustratingly hard to find any knowledge whatsoever. When I started out working for LAN, my first several cuts had so many things wrong, haha. Fortunately all of the people around me were also just starting out, so we were able to learn together. Tilfinning: I was used to the style of Japanese animation, but not the production method itself. I probably made a lot of mistakes that LAN had then to fix. Later down the road we gained more and more understanding of the workflow so we could pull our own weight, though we still made a good number of mistakes. Russel Braganza: Honestly? I was not used to any production at all. I’m a really big newbie. Xin, Guz, and in particular Hero had to deal with my lack of knowledge so much. I’m so thankful for their assistance. Bagus Yoga: I found out I also was clueless about Japanese animation production methods before working on Studio LAN. Lan himself was pretty busy when I started asking him some questions (and this was before we invited the rest of the overseas team, so I was alone), but they still gave me enough information that I could keep going. That said, the cuts I did on the first episode ended up feeling pretty unsatisfying for me; since I had to change the workflow I was used to, there ended up being some limitations. This was of doing things is perfectly fine, but I know I could do better now than my output on that first episode. lzyboost: If we’re all being sincere, I can pretty much say I knew nothing about how things were done when I started either, haha. Everybody has been really supportive and nice, teaching the ins and outs of how things work to all newcomers like me. Ryan White: I’m trying to run my own small studio on the side, so I wasn’t acquainted with other people’s way of doing things. It started out with me constantly thinking to myself “Wait, why do we have to do this? I don’t understand,” but now I’m at the point where I plan to take a lot of the methods and techniques back to my own work and implement them there. I’m honestly surprised how many things I didn’t know, after animating and studying for as long as I have. Hero: It’s way different from western projects, and working digitally also means that every studio has different ways of managing the data. Most of the overseas team were inexperienced about Japanese production. I believe this also was the first time that Lan hired so many freelance animators from all over the world, so although the production method is still the same as Japanese production, the way we deliver from the overseas animators side to the in-house side requires a whole new management system. Since most of the animators had no experience with Japanese production, we had to manage the process and teach newcomers about the workflow and how to properly deliver their cuts. Compared to in-house work, the freelance side was less strict about quality, but we do try to maintain a certain level so Lan can work with them easier. David Bradshaw: To Be Heroine was the first ever ‘anime’ production I’ve ever been a part of, so I came into the project knowing very little. It was a real effort to learn so much while still being in school, but I managed somehow. My style of working has not changed per se… it’s more like I’ve added more steps to my workflow, haha. In the end the animation process feels the same, but every now and then I have to remember to add this and that, or else there might be problems for the clean-up artists down the line. Husain Untoro: I wasn’t used to Japanese-style production method, so the pipeline for this project was a new learning experience for me – and it was awesome! Blu Shade: Before To Be Heroine I’d never done any professional animation work to begin with. However, the only thing I had to change in my workflow was adding steps that I hadn’t been doing before, such as labeling a timesheet and my frames. Daniel Baron: Exactly. Though I wasn’t used to the Japanese methods, I didn’t really have to change the way I work, but I had to learn to keep my cuts organized for the next person in the production line since this was my first time animating for a TV series. ─ Some of you are self-taught animators, with people like Guz having started on fields like stick figure animation that are very unlike the traditional academic background. Have you struggled to adapt to fully-realized, standard work when going professional? Bagus Yoga: I’m not sure I’d even call myself a professional, this just feels like a lucky result of having started to animate stick figures as a base model, mostly to study the 12 principles of animation. But honestly, that also got me some bad habits and kept me in that comfort zone far too long. It took me at least 4 years to break that habit and start doing full body animation, haha. After that I still had a clumsy understanding of professional animation work, but over time I began to understand what it’s like and how things go when working in the Japanese industry. It was pretty tough, but it will be a great experience! It’s true though, some of us are struggling. I’m still learning about their production methods, but thankfully I’ve received a lot of help, even from people like Chengxi Huang! David Bradshaw: Funny story – I was a stick figure animator just like Guzzu, we even used to be in the same community of animators, although we never really talked back then. I would say it was a big struggle for me because I am so used to working on my own tempo and doing things my way that sometimes I get so frustrated with how they say I am supposed to do it. Husain Untoro: I grew up as a stickman animator alongside Guz too. He actually inspired me to push forward to the next level, face that struggle to improve in the future. Russel Braganza: I’d say I’m about 90% self-taught. My origin story is similar to Guz’s, since I began by making stick-figure animations. I struggled very much on doing more professional work. My colleagues like Gem and BluShade studied up production beforehand and melded in well. I did not, so I made lots of mistakes. But they are really amazing. I’m quite jealous of them, haha. Spike: I can do a decent job when it comes to keeping on-model, doing clean-ups, or capturing some nice looking movement. I really like that I can learn somewhat complicated things relatively quickly, but my biggest issue is that I tend to take longer than other animators usually do, which kind of nullifies all of my other skills when you think about it. None of that really matters if you can’t finish an animation in time. So I’ve been working on improving that side – and I’ve definitely gotten a lot faster, but I’m still trying to push it further because when I look around me, everyone is so insanely quick that it makes me feel bad for taking longer than usual, even though it’s been like only 2 years since I started animating full-body. Blu Shade: Honestly, I don’t think I really struggled to adapt myself, even though I’ve taught myself animation. It is very similar to what I’d been doing before, just with deadlines and such. Ryan White: Personally I’ve been animating since 2015, but I’ve been drawing for most of my life before that. I have to say though that there isn’t much to help aspiring animators where I live; I got into what my school considered a “prestigious” university program while I still attended high school, and the most they were able to teach me was a bit of flash, and the 12 principles of animation. When I began animating online, it was like a whole new world… and just when I was getting used to that, I joined in on the Japanese-style animation world and got my world blow to pieces again, hahaha. Hero: Though the traditional fundamentals are best to learn at the beginning, I believe after that point, all animators should be self-taught. Trying to produce high quality work is always going to be a struggle, but I think the best way to improve is to learn as you work. Animation itself I believe is an experiment of the creator, what illusion is best suited for this stage? It is always something new that animators have to think about. Gem: Personally the biggest struggle I think was getting used to the workflow and making sure everything is written and conveyed correctly. lzyboost: There’s definitely been some struggles, but in the end I can confidently say I’ve enjoyed all of it. Working with Studio LAN has been dream come true for me, plus a really good (and important) learning experience! ─ Did you have any particularly strong influences when learning animation? I feel like in some of your cases there’s obvious answers. Spike: Some of mine are definitely obvious, and you can easily spot it in my works. Yoshimichi Kameda is one of them, I absolutely love his timing. Some other obvious ones are Takeshi Koike, Yutaka Nakamura, Mitsuo Iso, and Yoh Yoshinari. That said, some of my biggest artistic influences aren’t only key animators, so I can’t go without mentioning directors like Masaaki Yuasa and Shinichiro Watanabe, or mangaka like Kentaro Miura, Horikoshi Kohei, Takehiko Inoue, and my all-time favorite Yusuke Murata. Bagus Yoga: It’s true, my animation style is heavily influenced by many animators. Yutaka Nakamura is an obvious answer, but there is also a bunch more: Nakaya Onsen, Chengxi Huang, Weilin Zhang, Optical-Core, Spencer Wan, Mitsuo Iso, Pebble, Hakuyu Go, Takafumi Hori, Norio Matsumoto, Ryo-Timo, Takumi Sunakohara, Kazuto Arai, Itsuki Tsuchigami, and many more! Gem: I could name Yutaka Nakamura, Mitsuo Iso, Toshiyuki Inoue, Shinya Ohira, Yoshimichi Kameda, Shingo Yamashita, Shinichi Kurita, Bahi JD… the list goes on and on, but those are just a few among the endless list of animators who I look up to greatly. Bahi has obviously inspired many young artists, and not just by being an amazingly talented animator; he has shown many people like us that it’s possible to pursue your dreams no matter where you were born. Obviously Yutaka Nakamura is arguably the biggest influence among animators everywhere right now. But aside from flashy action animation, it’s very important to appreciate the animators who take the “mundane” scenes and bring them to life with character acting. A lot of animators, particularly younger, get so caught up in only fights and flashy effects that they often forget about the fundamentals, so studying and appreciating people like Toshiyuki Inoue and Mitsuo Iso is just as important as Nakamura and other action animators. I’d like to say that seeing Japanese animation really push a narrative of letting creators have their own voice is something that has really driven me to pursue this path, so I too can have a voice. Tilfinning: There are a lot of people, but Toshiyuki Inoue-san is probably the one that influenced me the most. It’s so inspiring to see him take on any type and style of animation with such finesse. I would like to be able to perform like him one day. Koh Yoshinari-san for the same reason. Other than that, I am a big fan of the 80s-90s animators where who would fearlessly implement background animation sequences right after the other in TV series. They aren’t perfect, but I’m awed at how playful they are. However, sometimes I am reminded that being drawn to BG animation is not healthy, to put it lightly. I should also mention that the people I work with right now are a huge influence to me. 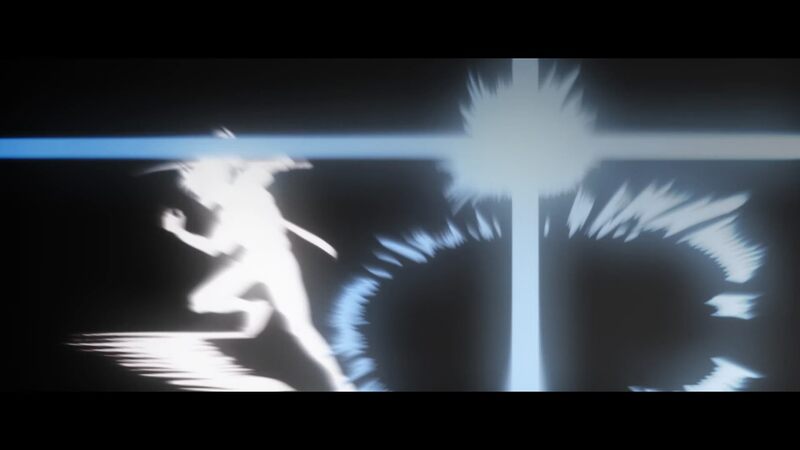 Guzzu is a master of timing and motion, Gem creates beautiful layouts and camera movement that harmonizes so well with the animation, and Blu is just amazing at creating a new Gainax-style animation. There are more out there of course, but these three people come into mind without hesitation. David Bradshaw: In my case I don’t know if anyone can pinpoint my influences, but my main one comes from my boy Norio Matsumoto and also Yoh Yoshinari. Blu Shade: Same! My strongest influence to learn from is Yoh Yoshinari! But I really do love many of the animators at Studio Trigger and use them all inspiration. Husain Untoro: As an animator, I took inspiration from many people; there are web artists such as Terkoiz, Jomm, Miccool, and of course Guz. But there’s also Japanese artists such as Yutaka Nakamura, Chengxi Huang, and Takashi Hashimoto. lzyboost: I have, to mention a few (in no particular order): Hisashi Mori, Yoshinori Kanada, Hiroyuki Imaishi, Bahi JD, Mitsuo Iso, and Yutaka Nakamura. Russel Braganza: Unsurprisingly I share some of those influences; Nakamura, Yoshinari, Ryouma Ebata, Bahi JD, Spencer Wan, everyone in ZettaiAbsolute and on Studio LAN… they’ve all changed me. I’m really grateful to be surrounded by all these talented individuals. Hero: I’ll change things up and say I was honestly not particularly into animation, I wanted to become a manga artist – which I still do want to do. It was when I first encountered Bahi JD’s work that I saw the power of digital animation and found interest in it. ‘I can’t believe that was done in Flash!’ was my reaction to one of Bahi’s earlier works. Since then I started animating in Flash, although there are other programs with better brush settings (lol). I remember how at first I didn’t even know about Miyazaki-san films, it was some time later that I have discovered his work, and now I am dedicated to become a better animator and storyteller to create films that are just as beautiful. Ryan White: I think most people start animating like that: they find a show or game that inspires them to also create, whether it’s something original or a fan creation based on that work that sparked their inspiration. In my case, I started doing fan animations of Bleach in 2016 on Youtube under the name Retro Ryno. I animate a whole variety of things now, but I do have to say that Bleach is what got me into animating; it was one of my first shows ever, as well as my introduction into what Japan’s animation was like, with the potential for something much more serious and grand than the normal cartoons I was used to. My other source of motivation for animating is a bit more abstract: I just love showing people my work, and just watching their face light up. In my mind, the more work I put into my animation, the brighter their face will light up. It’s my reward for all the effort. ─ Digital artists from all around the world being recruited to work in anime is a phenomenon that’s been happening for ages, but initially it was still very advisable to follow the traditional route and learn the language then move to Japan if you wanted to work in anime regularly. Now that doing digital animation from afar has been normalized so much though, do any of you have plans to eventually move there? Or are you fine working like this? Blu Shade: I’m OK working like this for now. But I’m currently learning Japanese in the hopes of working on anime in Japan, or at least making communication easier. Tilfinning: I also believe this kind of lifestyle is fine in a sense, but if the opportunity comes, I would love to move to Japan. That was my dream ever since I started animation. I wanted to work for Ghibli until they said they’d shut down. Husain Untoro: I always want to try new things, and that could include working and living in Japan. If that meant that I’d get to learn important skills, then I’d do it whenever I got the chance. But personally, my experience as freelance animator has always been pleasant. Spike: I’m in a similar camp; I think working with the current state the anime industry finds itself in Japan is an extremely difficult task, since they lead a harsh life and you’d have to love your work with so much passion to go through all of what they do. Currently I think I’m good with a freelancing model, although animating for anime industry isn’t the end goal I’m aiming for right now. Ryan White: Gonna agree with that – I’m totally fine working like this, haha. I would love to visit Japan, but I do have a lot of friends and family here that I don’t want to leave behind. I think animators have too many hardships as it is, having to pick up your life and move somewhere for the sole reason of working I think shouldn’t be necessary. I do have a bit of the language under my belt from high school but I’d have to brush up on it again for sure. I also have to say that It’s just so delightful to see how many online animators are getting a chance to work on big-name series, like Boruto and Black Clover. Back when I started, it was a miracle if an animator who wasn’t Japanese managed to get their name in the credits of an anime. Seeing this will hopefully inspire a lot of people across the globe to try and animate, because it’s not an impossible dream to make it to anime now. You just have to work very hard and have a good attitude. Gem: I don’t particularly like where I live, it’s pretty much in the middle of nowhere, so at some point I would definitely consider moving! However my Japanese is very poor, so that would be the biggest barrier at the moment, haha. I will be working on that though! lzyboost: It would be really cool to work and live in Japan; we’ll see what life gives us! Hero: Moving to Japan is something that I have thought about before myself, though there might be no difference if we don’t even get out of the house (lol). I’d consider it if one day freelance work pays decently or if I am able to work in-house with normal income, but I don’t think moving will be an option for me at the moment. Bagus Yoga: It’s true that things have changed. I hope that following examples like ours, even more webgen animators will find the motivation to keep following their dreams, so maybe one day there will be another huge new wave of animators who started by sharing their work on the internet. Personally I’ve got some future plans. I’m definitely going to move out, though I’m not sure how to make it work out considering the living expenses there. And although I’m planning to move there to work, I still want to keep working as a freelancer with western companies like Studio Yotta. We’ll see! David Bradshaw: My plans change so much it’s crazy, but at the moment I don’t think I’ll ever move to Japan or China to work on anime. I think I’m fine where I am, though who knows, life is unpredictable. Russel Braganza: It’s a solid no from me. I don’t have plans to move to Japan or China, since instead I’d like to help globalize anime back where I live in California. I do plan to learn the language though! But really, I can’t even trust my brothers back at home to take care of my cats if I leave for extended periods of time. ─ Following up on that, do you have any anime-related projects planned for the future? No need to give names if you’re not allowed to say. Gem: I do have some very big stuff that I can’t talk about yet coming up soon! It’s all very exciting, I just graduated highschool only a few days ago so now I’m able to work full-time, hopefully there will be even more to come! Tilfinning: Yeah, I’ve got a couple! Blu Shade: I can’t say what they are, but I definitely have plans! lzyboost: Though we can’t give names, there are some, which we all are super excited for. Look forward to them! Russel Braganza: It’s unfortunate that we have to keep quiet, but my golly gee am I excited! Hero: I’ve got some too, and I think that applies to most members of Studio LAN as well. David Bradshaw: I’m convinced LAN will keep me busy as long as I am with them, so I’m entirely sure there will be something in the future. Spike: Yeah, Studio LAN has some future projects up their sleeve and I plan on sticking around with them for a little while longer… or until they decide they don’t want to put up with me anymore, hahaha. Bagus Yoga: Besides that, I don’t have plans to start projects of my own so far – maybe in the future, but now I’m more interesting on working with their concept rather than creating my own. It’s more fun that way, haha. Ryan White: Well, I can say that I plan to continue working on my animations for Youtube, but I would love to look for other projects like To Be Heroine, and meet some more talented people to see how they do things. I don’t have any projects planned that I’m allowed to name at this time, though! ─ At this point I’m used to seeing young animators I’ve followed making it to anime, but it’s a very special feeling to see a bunch of people I’ve seen commenting on Sakugabooru for years getting their anime debut. I hope you all feel proud, and congratulations for your work in this show! Bagus Yoga: It feels surreal for sure! From idolizing animators on Sakugabooru to getting this lucky opportunity to start our own journey with Studio LAN, it’s crazy. Thank you for keeping the booru alive, and for the interview too! Gem: Thank you! I can’t stress enough that the others and I wouldn’t be where we are today without Sakugabooru. It’s an invaluable resource of research and reference for animators everywhere, so it’s an honor to be featured here! Spike: I really appreciate what you guys do for the animation community with Sakugabooru and all the blog posts that I love reading, so I’m really glad I get to be part of it in a way. I’m also thankful to Studio LAN for scooping random animators up from the internet and letting us work on their show, putting up with our lack of knowledge and taking the time and patience to teach us, in particular Xin who is a great production manager. I really hope you’ll enjoy the show and have a good time with it. Thanks Kevin! David Bradshaw: Hahaha, thank you! It’s been a fun ride, all things considered. I might not always be browsing the booru but I do visit it as much as possible. Russel Braganza: Yeah, thanks! It’s quite an honor among us global animators to have our work posted by someone on Sakugabooru. Like a rite-of-passage or something! Husain Untoro: Thank you for this opportunity! Blu Shade: Thank you, I do feel proud! Hero: Honestly, I feel like I could’ve debuted much sooner; motivation is very important for time-consuming work like this, and I think I lacked it. Since now I’ve met all these young animators at Studio LAN, I feel much more motivated to do better. In fact, there’s so many young animators appearing everywhere, that I just feel old at this point (lol). I hope everyone will continue in this line of work. Thank you! Ryan White: Thanks so much Kevin! It’s been really fun answering these and sharing my thoughts on this anime experience. Thanks for the opportunity! Daniel Baron: Thanks for the questions! lzyboost: Thank you, let’s all do our very best! What a great interview! Keep up the amazing work, people. You are inspiring. Can’t wait to watch To Be Heroine! You’ve convinced me to watch something I’d heard about but with a premise I didn’t find particularly appealing. Top-notch journalism right here. Thanks as ever. Very cool interview. It’s neat knowing that I’ve been following and have talked with many of these guys personally over the last year and change. Feels kind of special watching this new generation grow into the industry in real time. Not going to lie, I adore the flash and energy of these guys’ animation too, and will not complain if I can see more and more of it. It is powerful. Awesome work as always KViN! I am just wondering, what are these animation communities they speak of early on? It really cool to see people break into the industry based on their animation alone, not their location or fluency in japanese and so forth. Damn, Man. Great interview, good questions, and it’s cool seeing every bodies excitement working on the project. I’ll keep on posting links to this blog around everywhere people say they appreciate animation because I can feel the passion for it here too. Bravo, I am so proud of all these animators that are getting where they want to be. This has been one of the most eye-opening instances of animators around the world making it into the anime industry. Keep up the good work everyone and Sakugablog! this is great! fantastic interview and so glad for you guys spreading your wings! keep up the great work!